The accelerating pace of technology development is creating promising opportunities and significant risks for global efforts to halt the spread and avoid the use of nuclear weapons. Whether promoting the use of earth imaging technology to enhance nonproliferation or understanding the cybersecurity of nuclear weapons systems, traditional nuclear policy stakeholders face an array of challenges for staying responsive to technology change. Advancing solutions to such challenges increasingly requires new stakeholders—including private industry and civil society—to play more active roles in governance. Developing stakeholder understanding and awareness of the risks that emerging technologies pose. Identifying and promoting innovative ways that emerging technologies can be applied. Informing and supporting nuclear governance institutions as stakeholders adapt to the implications of emerging technologies. Advancing solutions that involve stakeholders at all levels in the management of emerging technologies. Contact Ben Loehrke for more information. The Iran Nuclear Agreement: Could It Inform Future Nonproliferation and Disarmament? The Stanley Foundation has joined Gender Champions in Nuclear Policy, a new international initiative bringing together more than 30 organizations working in the global nuclear policy field and committed to gender equality. Nuclear Policy Program Officer Ben Loehrke will serve as a Focal Point for the initiative, helping to implement the foundation’s commitments and share progress, best practices, and encouragement with other participating organizations. In this package, five top experts in AI and its potential uses in autonomous weapons and sensing systems weigh in on the moral and practical challenges of managing the explosion of military AI research and development around the world. The goal: to keep fast-paced advances in machine learning from sparking a worldwide AI arms race that poses a new existential risk to humanity. Read more. 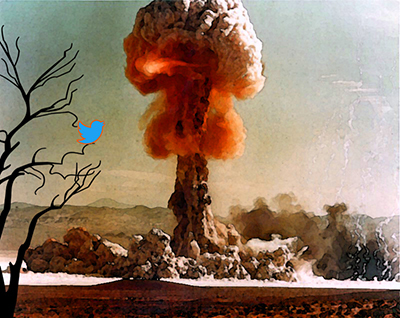 How might a nuclear crisis play out in today’s media environment? How would the crisis be tweeted? This brief provides a framework for questions about crisis stability in today’s information ecosystem and concludes with a series of open questions deserving further examination.